Imagine every bottle of wine you open tasting more delicious than ever before! 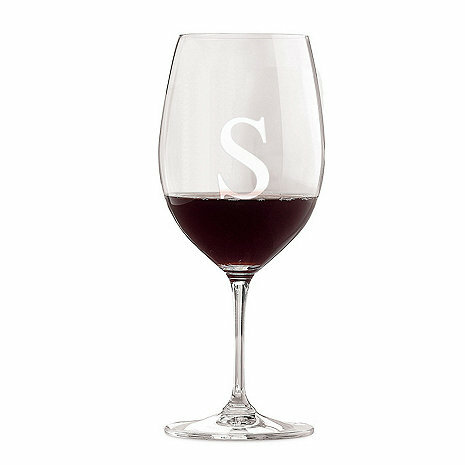 Moreover, all machine made Vinum stems are completely dishwasher safe. Recommended for: Bordeaux (red), Brunello di Montalcino, Sangiovese, Cabernet Franc. Personalize with one single initial. BEST ANSWER: Peter, we do offer custom personalization depending on what you were looking to have printed. Please reach out at 800-356-8466 and our sales department will be able to assist you with any custom personalization needs. Thank you! Very nice quality and since its personalized with my initial, no mixing up glasses with the wife! Love them. Great gift idea of something for yourself! The monogrammed turned out exactly how it was pictured.